Farewell, Archie Blair. Palace Place will forever stand tall in salute of your hard work and dedication. Today was a sad day for Palace Place. 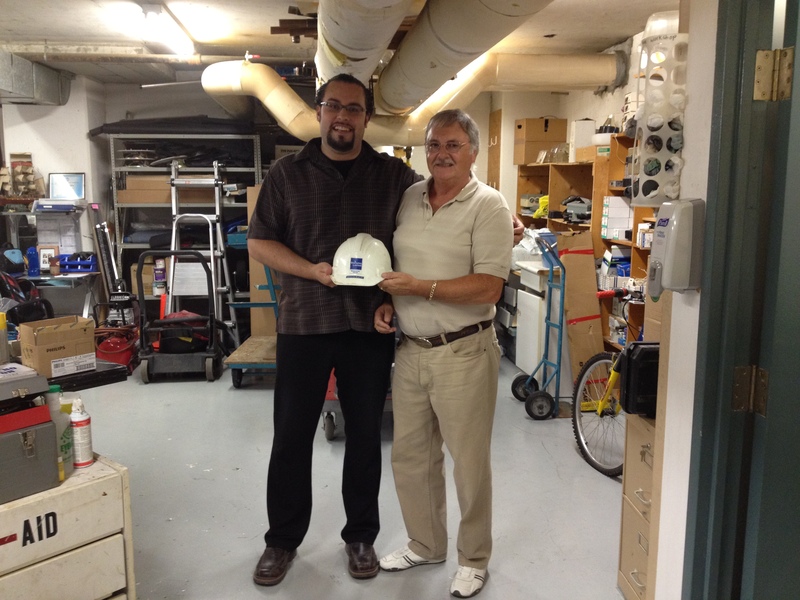 After 20-years of dedicated service, Archie Blair, Palace Place’s faithful building manager, had retired. 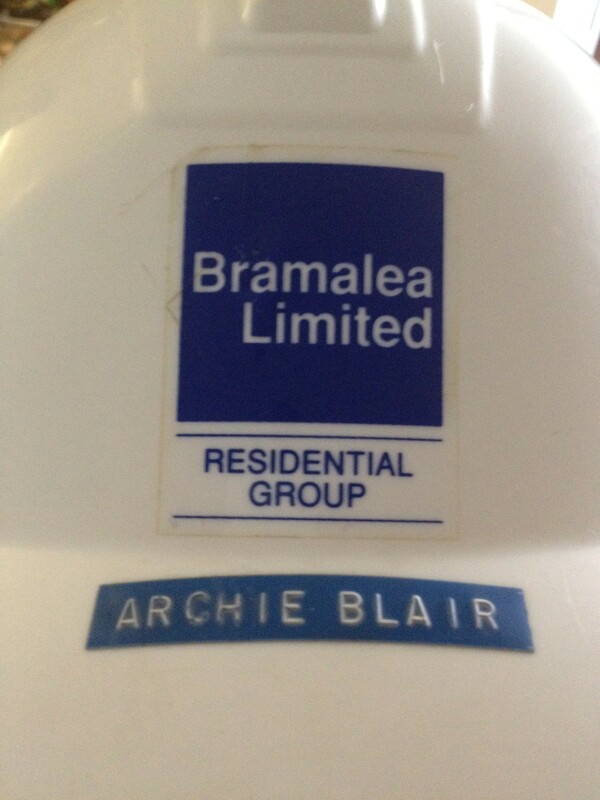 Archie had been the only one from the original Bramalea construction team to stay with Palace Place, and no one knows the building better. I had literally grown up with Archie at Palace Place, so for me, while I know that we will keep in touch, it still feels like we have lost a family member. Archie had helped me with research for my book on Palace Place, and I have written his profile page below. Although, nothing will ever equal the stories that he had shared with me over the years, and, believe me, several novels could be written from them. I had spent some time with Archie today, his last day. I am pleased to report that Archie’s helmet has been polished up, and it now sits with other Palace Place memorabilia in my office on the 42nd floor. Archie, you will always have a family at Palace Place, and you will be greatly missed. 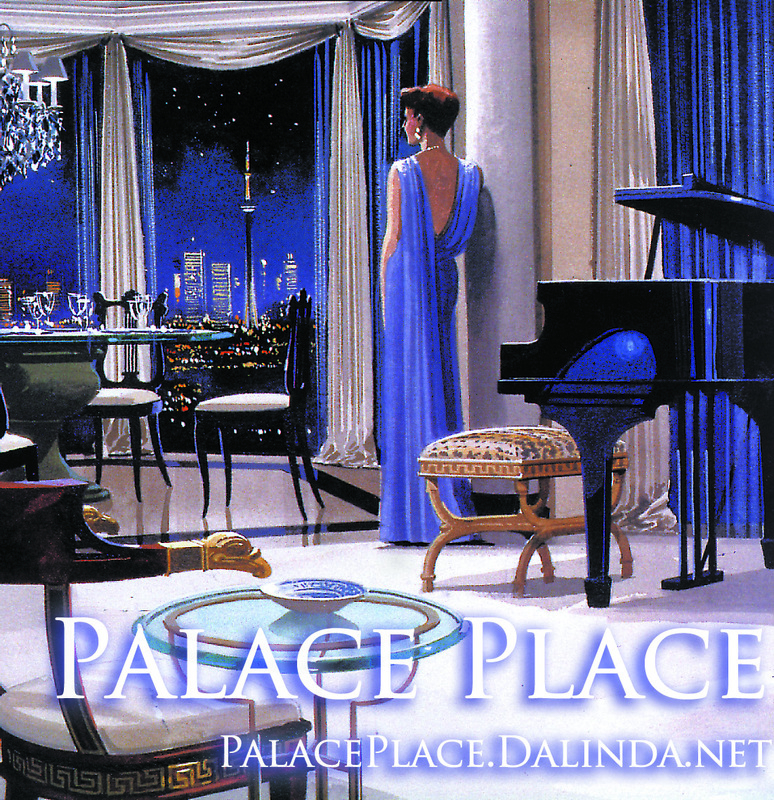 An excerpt from Palace Place, the book, by Luke Dalinda. The only one to have witnessed the construction of Palace Place from the very beginning and to have lived with Palace Place until the present day. There is not a soul that knows Palace Place better than Archie Blair. No one knows Palace Place hands-on like Archie. Like the starship Enterprise, Archie is our Scotty, and he has kept Palace Place shipshape for almost 20-years since first occupancy. Archie had come to Canada from Scotland as a carpenter in September of 1972, and he had supervised the construction of family homes in Peterborough and The Kawarthas. In 1976, Archie had joined Bramalea Consolidated Limited, one of Canada’s largest property developers, as a maintenance person, and he had quickly worked his way up to Director of Operations, overseeing the entire Bramalea maintenance department. He had worked as a liaison between property management and Bramalea construction, and he had trained the superintendents and managers on all new buildings. 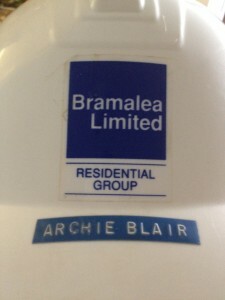 When it had come to Palace Place, Archie had been responsible for reporting on the construction activities to the executive team at Bramalea. It had taken the best, most-talented trades to meet Bramalea’s exacting standards for Palace Place. “We all knew that this building was special. All the workers gave everything they had. They knew that this would be a living testament of their work. It was a real team effort. We all took great pride in building Palace Place,” Archie had said. 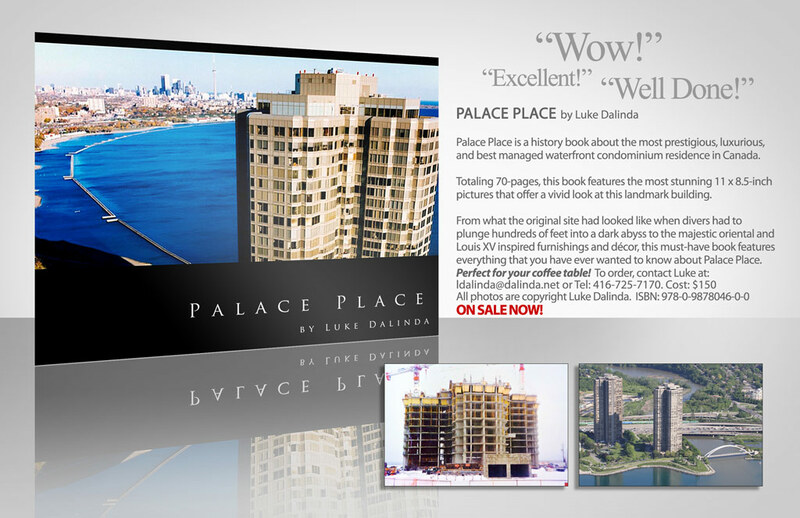 When construction had completed, Archie had joined the Palace Place condominium corporation as its first employee as Building Operations Manager, and he has worked for Palace Place ever since. As Building Operations Manager, Archie is responsible for the direction, supervision, performance, and evaluation of all Building Operating Personnel, which include eight housekeeping staff and two building operators. He is responsible in all areas pertaining to housekeeping, structural, mechanical, electrical, and building operations of both the interior and exterior. Archie overseas all needed repairs and maintenance that is conducted by staff and outside trades, and he obtains competitive quotes for necessary work and special projects. Archie deals with day-to-day building operating problems, and he assists in the issuing of new contracts. Archie had supervised the biggest renovations at Palace Place, which had included the following. It is common for architects and builders to leave their buildings once they have been built, never to return. 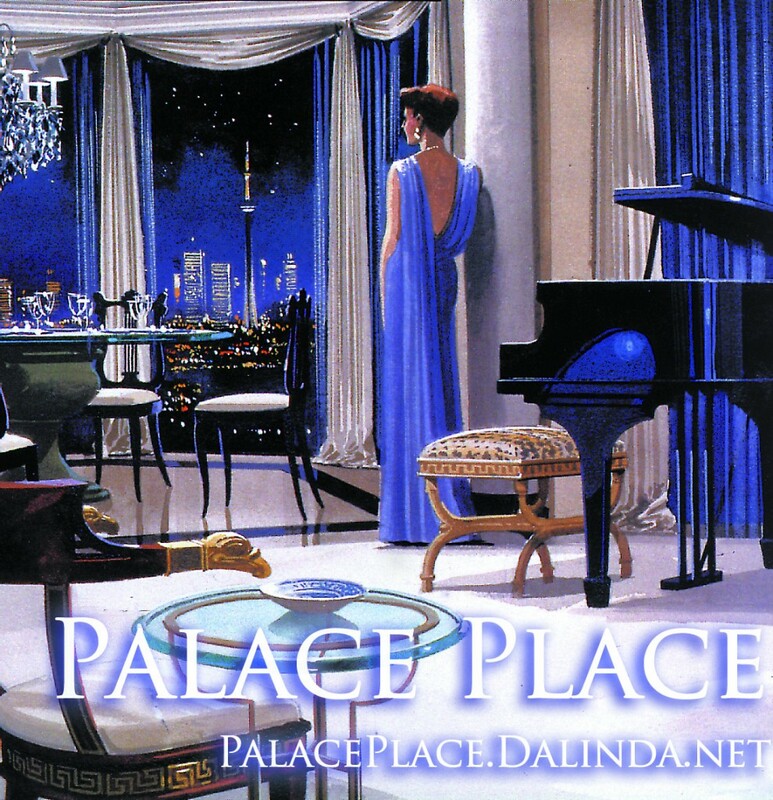 To have seen Palace Place built floor by floor, to have been on site every day, to have been involved in the design and construction, and to have been a part of the original team is something that can never be replaced, and it is an education that can never be equaled. Palace Place residents have been very fortunate to continue to have one of the original builders on site. Archie Blair has dedicated 23-years of his life to making Palace Place one of the best condominium residences in Canada, and Palace Place will forever stand tall in salute of his hard work and dedication. To order, Palace Place, the book, please send an email to LDALINDA@DALINDA.NET. To avoid the new mortgage rules, buy before July 9! The Canadian government has announced plans to further tighten lending conditions for Canadian home buyers. These changes include cutting amortization periods from 30-years to 25-years and limiting refinancing loans from 85 percent of the value of a home to 80 percent. Most banks have stated that they will honor their current offers until July 9 when the changes come into effect. Speaking earlier today, Finance Minister Jim Flaherty had said that the changes would affect less than 5% of home buyers. “I remain concerned about parts of the Canadian residential real estate market, particularly in Toronto, but not only in Toronto. We need to calm the condo market in a few Canadian cities,” Flaherty had said Thursday. Today’s announcement will have the greatest impact on the new, small condominium residences that are currently popular with first-time buyers and foreign investors. For the FIRST-TIME ever, the CROWN JEWEL of Palace Place! 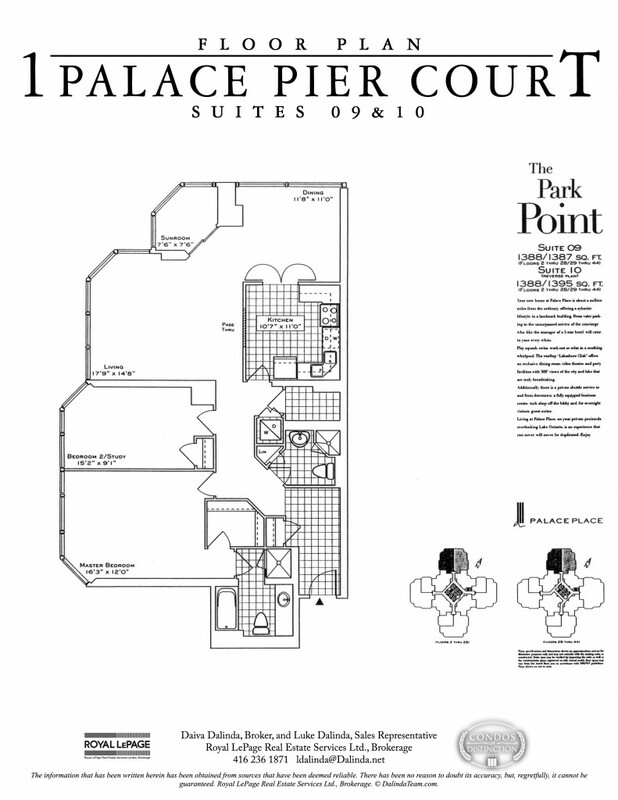 This is your exclusive invitation to register now to be one of the first to see this prized, never before available 2,437 square foot, 3-bedroom suite. 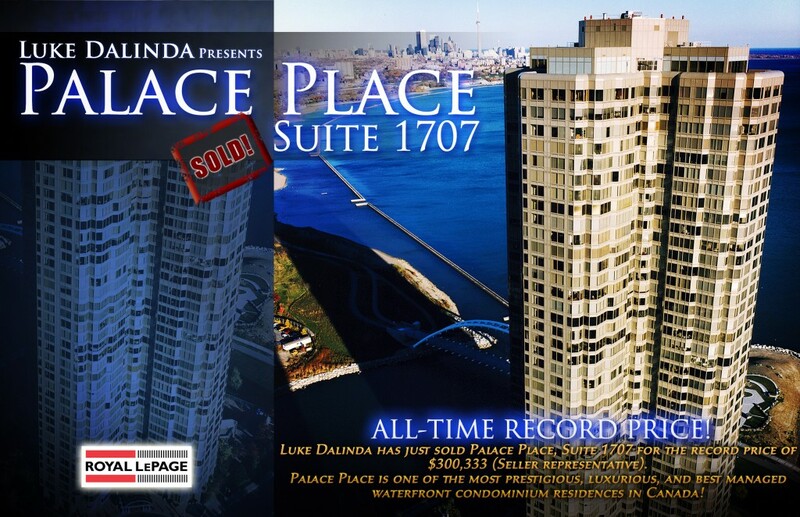 JUST SOLD: Palace Place, Suite 1707 for the RECORD PRICE of $300,333! I have written to proudly announce that I have set yet another record price at Palace Place by having just sold Suite 1707 for $300,333. 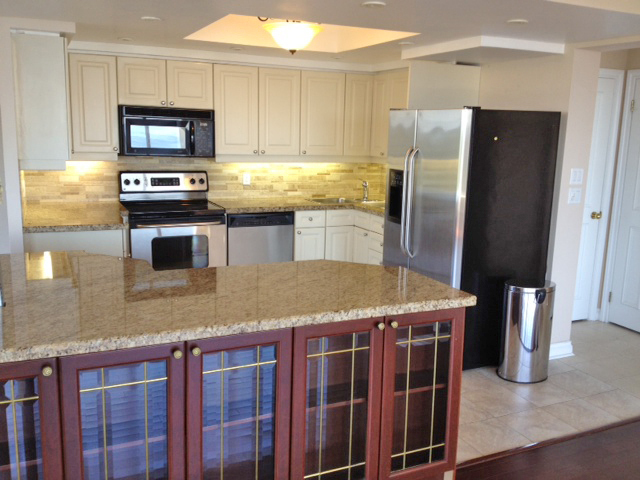 JUST LEASED: Palace Place, Suite 4009 for the RECORD PRICE of $2,700 per month! I have written to announce that I have set yet another all-time record price at Palace Place by having just leased Suite 4009 for $2,700 per month in only 1-day! Feel free to contact me anytime. I am on-site and available 24/7. 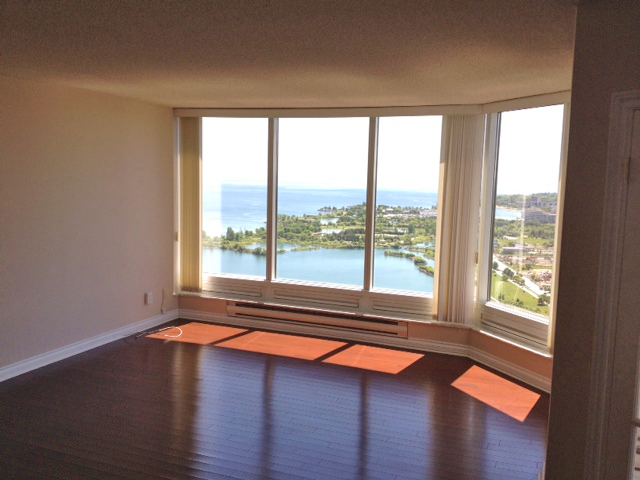 Suite 4009 is an immaculate condominium residence, with approximately 1,388 square feet of living space and enchanting views of Lake Ontario, the Humber Bay Shoress parkland, the Humber River, and Swansea village. Click for flyer. Call or send an email now to Luke.